Haters aren’t your problem … ignoring them is. If it feels like there are more complaints than ever, and that you’re spending more time and money dealing with negativity and backlash, you’re right. But the rise of customer complaints is actually an enormous opportunity. In this eye-opening presentation, Jay reveals proprietary research into The Science of Complaints – why and where your customers complain, and how to turn customer service into a marketing advantage. 80% of companies say they deliver exceptional customer service. 8% of their customers agree. Jay teaches the critical steps necessary to retain and delight customers in this disrupted era when customer service has become a spectator sport. 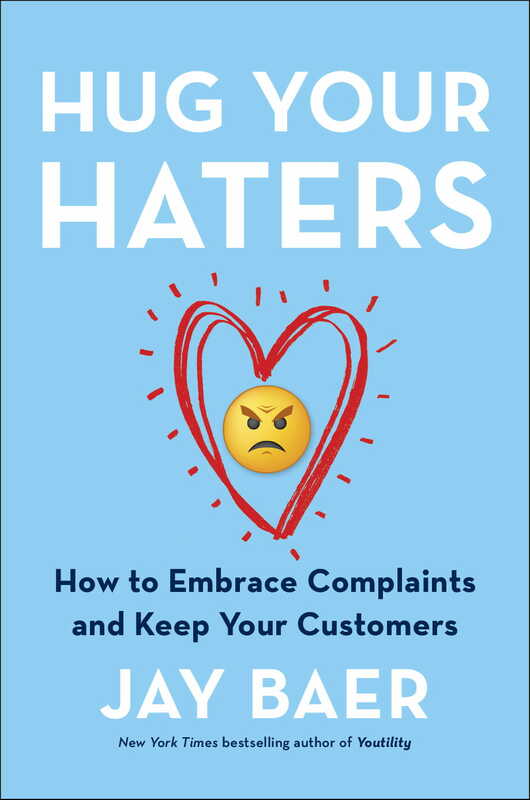 Check availability and options for bringing Hug Your Haters to your event. See Jay's other programs: Talk Triggers, and Youtility.